"Domo is formed in January of 2010 after the dissolution of other proyects and with the purpose of killing the thirst for experimentation and to liberate the dosage of adrenaline of its band members. Practising psycodelic and electrifying rock Domo builts its foundations on experimentation and psycodelia using the clasic structures of the 70's Hard Rock as a starting point. Their concerts combine wild and intense moments with long and hipnotising atmospheres and in their short career they have shared lineup with bands like Mystic Frequency Worm, The Hapiness Project, Kayser Sozé or Piñata and have also participated in various spanish festivals. 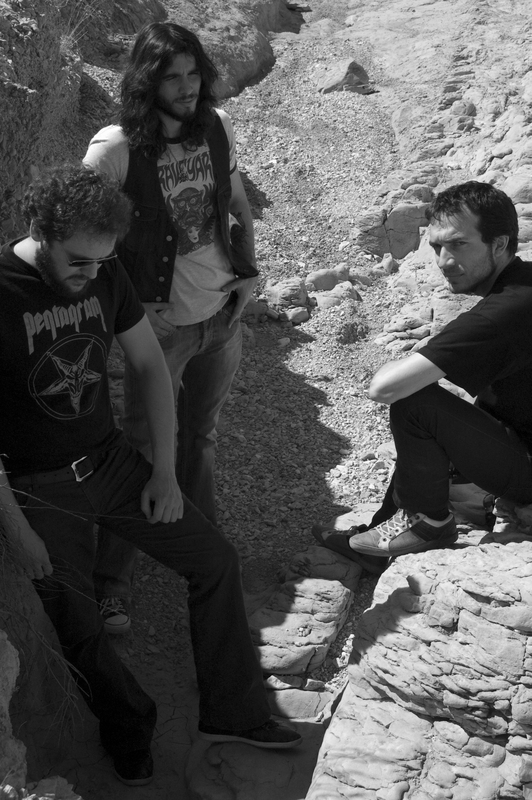 Their participation in "Territorio Lunar" (Santa Maria del Páramo, León), a festival dedicated in body and mind to Hard Rock and Psycodelia, was a turning point for their career, as well as the organization and participation in the "Festival en el Castillo" (Santa Pola, Alicante) last summer, which was made possible thanks to the initiative and dedication of the bands that formed the lineup. Domo brought out their first homonymous album in August of 2010, an album full of lysergic sounds and a large dosage of experimentation, and are right now emmerged in the creation of new songs for a future album, which we hope, will see the light of day in a near future. Domo (2010)"
These guys may be fairly new but they play like seasoned veterans. The guitar work is awesome. This is some of the best instrumental music I've heard in some time. Look for a full fledged review soon.